Huyck Preserve offers opportunities for the public to participate in ongoing scientific research. These citizen science events bring science and people together and provide valuable data to help us meet conservation goals. If you'd like the chance to participate in research, meet scientists in the field, and get up close with wildlife, all while enjoying time outside at Huyck Preserve, please join us for citizen science events! No experience is required, and you'll learn data collection skills and participate in active scientific research! If you're interested in participating, join our newsletter, watch the event page, and like on Facebook for upcoming event dates. The Huyck Preserve is a CBC site. Citizen Scientists will meet at the Preserve and get maps from the Coordinator of their target areas. Some people will hike the Preserve listening and watching for birds, while others will drive the roads around the Preserve gathering counts. Citizen Scientists gain experience in bird identification, both visual and auditory, and collect valuable data on winter bird populations. You don't have to be a pro to participate - everyone can! The 2014/2015 Christmas Bird Count will be January 3rd, from 8 AM - 1 PM. Meet at the Visitors Center at 5052 Delaware Turnpike, Rensselaerville to get started in the morning, then meet back there at 1pm to warm up with a hot lunch and hot chocolate and share our results. DOn't fear birdnerds and enthusiasts, you can keep collecting until 5pm - but we only ask our citizen science volunteers to stay from 8-1. To participate, please send an email to outreach@huyckpreserve.org with your name, phone number, and number in your group (if applicable) so we can organize the event and partner up our birders. You'll recieve a map the morning of. Live near the Preserve and have a bird feeder? You can help! Bird feeder watching the day of the bird count is also great data - send us an email for more information on how to collect data! As part of the Ecological Monitoring and Management Alliance, the Huyck Preserve has set up a phenology trail. Phenology is the study of ecological timing, the periodic timing of plant and animal life cycles. This includes things such as when plants bud, bloom, or drop leaves, and more. 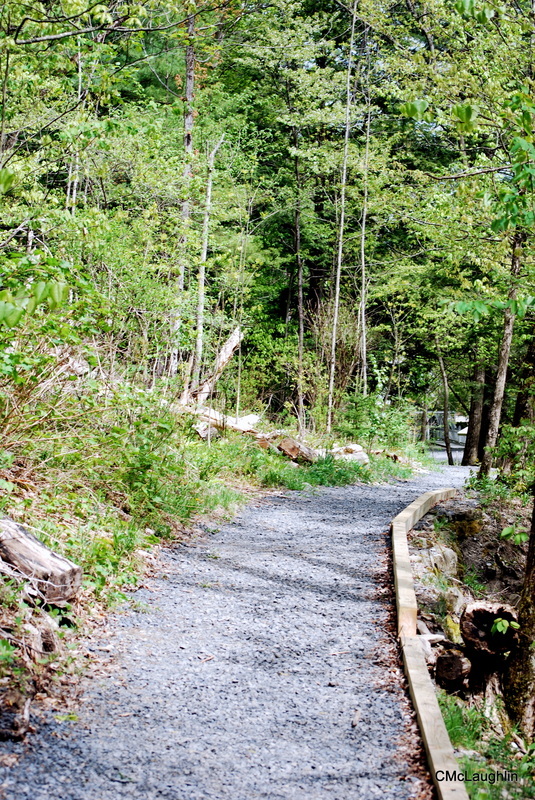 The Phenology trail starts at the Visitor's Center and runs a short distance to the lower falls, over the bridge, then back to Rt 85 along Ten-Mile Creek. This project is only just beginning and trees are currently flagged with colored flagging tape. Trees will eventually be marked with identification tags for ease, along with an accompanying booklet explaining the trail and how to record data. Citizen Scientists will walk the trail, noting different life cycle event stages in the marked tree species on the trail. The citizen scientists will learn to identify tree species and the stages of the annual tree life cycle. It is our hope that this data will identify shifts in the plant life cycling timing that are happening due to climate change. The data will be submitted to the National Phenology Network. All interested people should contact outreach@huyckpreserve.org to be added to a notification list for a short training and joint walk of the trail in the spring. The trail takes about 30 minutes to an hour to complete while collecting data, and is great for local residents wanting a short walk for exercise, or the many dog walkers who already walk this short loop daily!